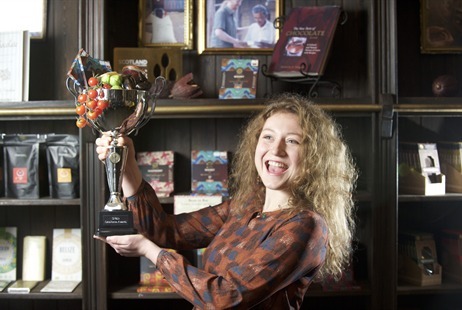 22-year-old Lucie Jurakova from last year’s Product of the Year winners, The Chocolate Tree, helped launch the 2018 awards. This year, the ‘Young Talent’ award category age limit has been raised to 26 and under to coincide with VisitScotland’s Year of Young People 2018 and encourage entries from Scotland’s rising stars in the food and drink industry. From household names to small artisan producers, the Scotland Food & Drink Excellence Awards recognise the very best products, people and producers across the country. Increasingly recognised by both trade and consumers as recognition of phenomenal quality, winning a Scotland Food & Drink Excellence Award has become a highly acknowledged accreditation to receive. Previous winners include Graham’s The Family Dairy, ALDI, The Scottish Salmon Company and Stewart Brewing. The 2018 awards will see the introduction of a brand new ‘Innovation’ category and all 22 categories are now open for entries, closing on Friday 9th March. The annual awards are organised by Scotland Food & Drink in partnership with The Royal Highland and Agricultural Society of Scotland (RHASS) and will once again be sponsored by Asda with support from Polaris. “The Scotland Food & Drink Excellence Awards allow us to shine a light on the skill, dedication and innovation of Scotland’s very best food and drink producers who all contribute to Scotland’s reputation as a Land of Food and Drink. “Over the last 10 years we have worked hard as an organisation and with partners to build a national identity for Scottish food and drink and the Excellence Awards provides an invaluable platform to highlight to the nation and beyond the strength of our industry and the wealth of talent across all sectors. The Scotland Food & Drink Excellence Awards 2018 take place on 7 June at the Edinburgh International Conference Centre (EICC). Those wishing to attend the prestigious awards dinner are urged to book early to avoid disappointment, with tickets for previous years selling out in under two weeks.